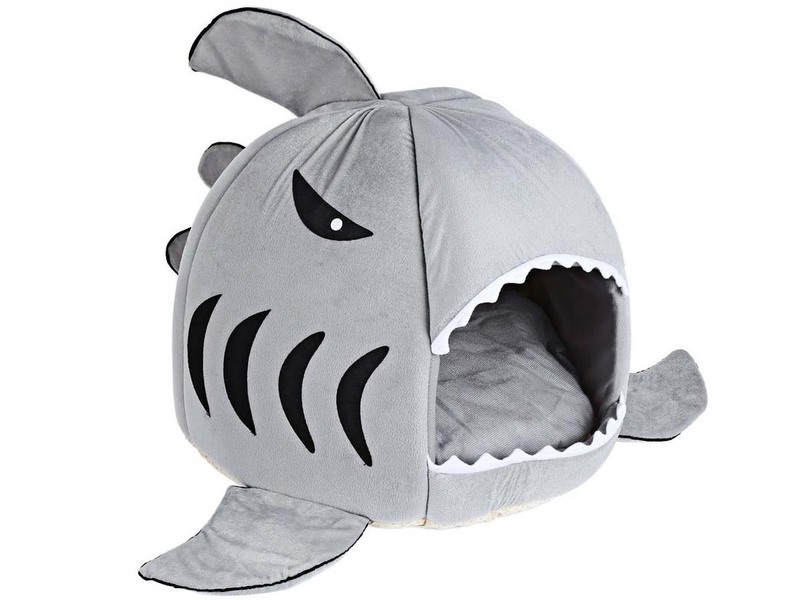 This might be the world upside down: a fish eating a cat? 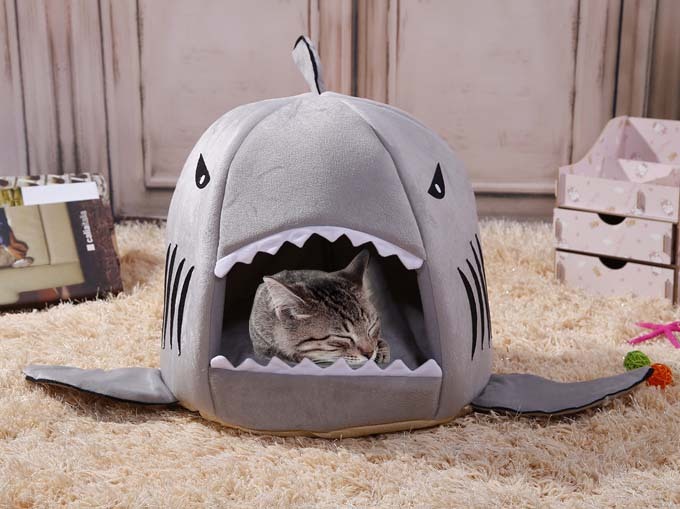 But you have to remember that sharks are a bit more dangerous than your average anchovy. 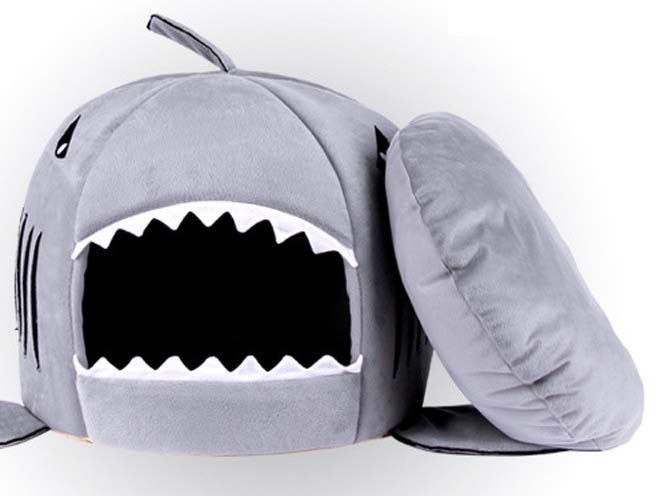 Your cat won't mind: the desire to sleep and nap is many times stronger than the awareness of any danger - especially if that danger comes with a fluffy pillow filled with high-quality cotton! 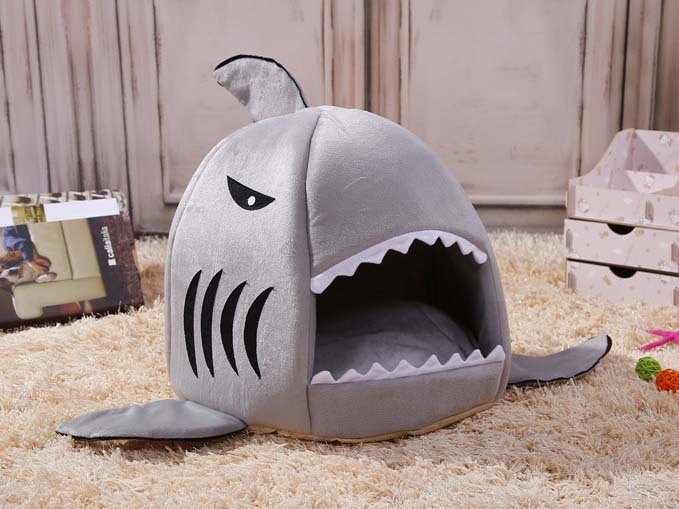 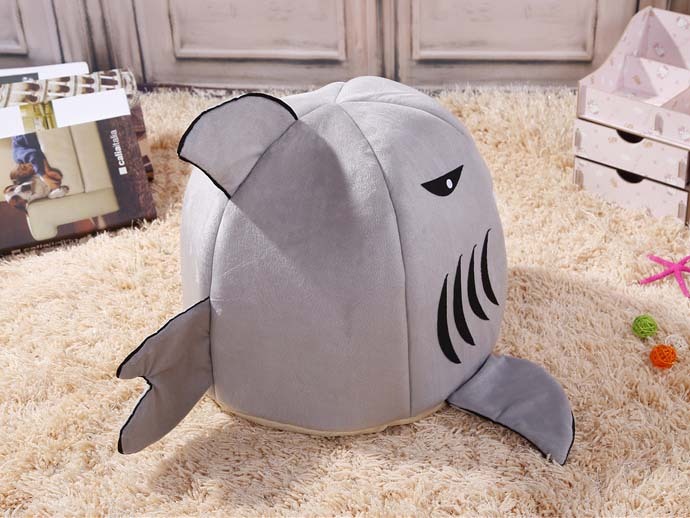 And this cute shark igloo is suitable for more than just cats: (smaller) dogs will love it as well.